The Hall of Fame – Anne Semonin and the best facial I ever had…. I should have hated everything about my first Anne Semonin facial. It looks like this now – not so much then! But the results. Oh LORD the results. The Anne Semonin was by far the best result I have ever had from a facial. They took my face to TASK. It was layer after layer of cleansing, exfoliation, serums, masks, more serums, massage, everything I love. Had I not been so distracted by trying to be picky (not so much a bad habit as what I am paid to do) and find fault I would have remembered more of the processes involved. Anyway, so impressed was I with the results that I left the spa (I was not staying at the hotel – hello??) and didn’t apply any makeup for the rest of the day in case I spoiled my face. It was THAT good. Plump, full, bouncy, hydrated fabulous skin. And it lasted. By the time I got back to London I had the Anne Semonin bug and made an appointment to see the legendary Ewa Berkmann in Claridges. This woman is the Rolls-Royce of facialists. Some people put their names on waiting lists for handbags. I hunt down renowned facialists in a quest to learn anything I can from them and feel ‘the hands’. I have felt most ‘hands’ in the business. It’s research. What’s not to love? Ewa is one of the two top ‘hands’ I have ever had the pleasure of being treated (pummelled) by – the other is Michelle Roques O’Neil who is the same as Ewa – but for the body. 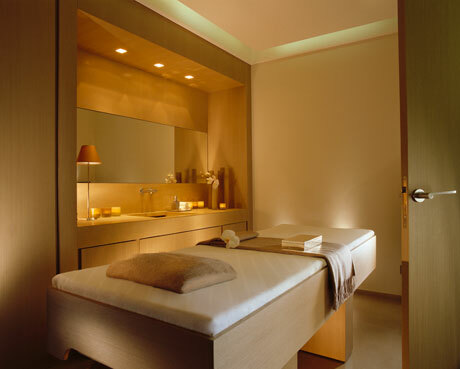 What was an amazing treatment in Paris, was elevated to another level of brilliance by Ewa. I was in that room for over two hours. She cleansed, exfoliated, steamed, treated, masked, serumed the living bejesus out of my face. I literally fell in and out of consciousness – and still did not want to get up when she was done. The Anne Semonin range is based on ‘the belief the most effective beauty products and treatments are based on a combination of a personal, made to measure prescription and a holistic approach‘. I’m of the same thinking that a great massage and a lot of layering of serums and oils does your skin the world of good. The joy of the range is that you can address any problem by mixing trace elements and essential oils to maximise potency and address issues as they arise. And they do address the issues. In this case I would recommend even the seasoned skincare pro takes advice from the Semonin team before selecting products – it’s a big range and they can suggest concoctions that may not occur to you. So the Anne Semonin is in the Hall of Fame. And deservedly so. And you don’t have to take my word for it – if you want to try it for yourself Anne Semonin has two facial weeks coming up at Liberty in London. The first one is from 1st-7th May. Facials are £50 redeemable against any two purchases of Anne Semonin on the day. It may not be Hotel Le Bristol but it’s the same product and the same training – get yourself down there – I am. Anne Semonin is available at Liberty. For appointments call the counter on 0207 734 1234 ext 2156. *In fairness to the current team my first facial was a long time ago! Previous Post I’m getting older…..
Next Post Happy Birthday to The Blog!